December 2016 - Next Page Please! An evocative novel about a teen aroma expert who uses her extrasensitive sense of smell to mix perfumes that help others fall in love while protecting her own heart at all costs. Sometimes love is right under your nose. As one of only two aromateurs left on the planet, sixteen-year-old Mimosa knows what her future holds: a lifetime of weeding, mixing love elixirs, and matchmaking—all while remaining incurably alone. For Mim, the rules are clear: falling in love would render her nose useless, taking away her one great talent. Still, Mimosa doesn’t want to spend her life elbow-deep in soil and begonias. She dreams of a normal high school experience with friends, sports practices, debate club, and even a boyfriend. But when she accidentally gives an elixir to the wrong woman and has to rely on the lovesick woman’s son, the school soccer star, to help fix the situation, Mim quickly begins to realize that falling in love isn’t always a choice you can make. 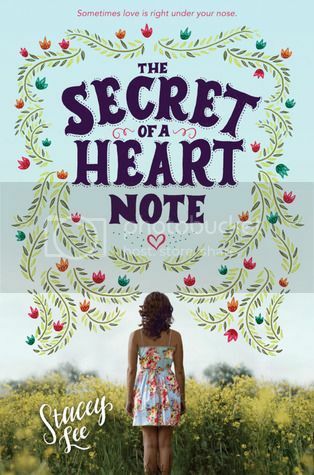 At once hopeful, funny, and romantic, Stacey Lee’s The Secret of a Heart Note is a richly evocative coming-of-age story that gives a fresh perspective on falling in love and finding one’s place in the world. I received an ARC of this book from the author, none of my thoughts are influenced by this. Huge happy release day to The Secret of a Heart Note! If you didn't know, Stacey Lee is one of my favorite authors. She writes such fabulous diverse historical fiction and is definitely one of my auto-read authors. I was super interested in this book not only because it's Stacey Lee (haha duuuh) but also because it's different compared to her past two books. Going into the book, I was interested to see what was going to be different about it, but I knew that I was going to like it. Despite it's differences to her past works, I still really enjoyed this book. I also found the aromateaur aspect of the story really interesting because it's something that I've never seen or thought about before. I never considered smells being able to tell people about a person and how each person has a unique combination of smells. It was really interesting to read about something like that because it’s definitely different compared to other unique abilities I’ve read about. I definitely think it would be cool to detect lies or jealousy just by smell and something I wouldn't mind having for a temporary time period. Overall though, I really enjoyed this book. It was definitely different compared to Stacey’s other books but that just shows how great of an author Stacey is. I would definitely recommend picking this book up for a lighter more fun of a read. Hello everyone, I hope it's been a great December for you all. Today, I am here to talk about a little show I have been obsessing with over the past few weeks: Skam. Maybe you've heard it, maybe you've seen people on Twitter (or Tumblr) obsessing over it. Who knows but all I gotta say is that everyone must watch it; or at least try. 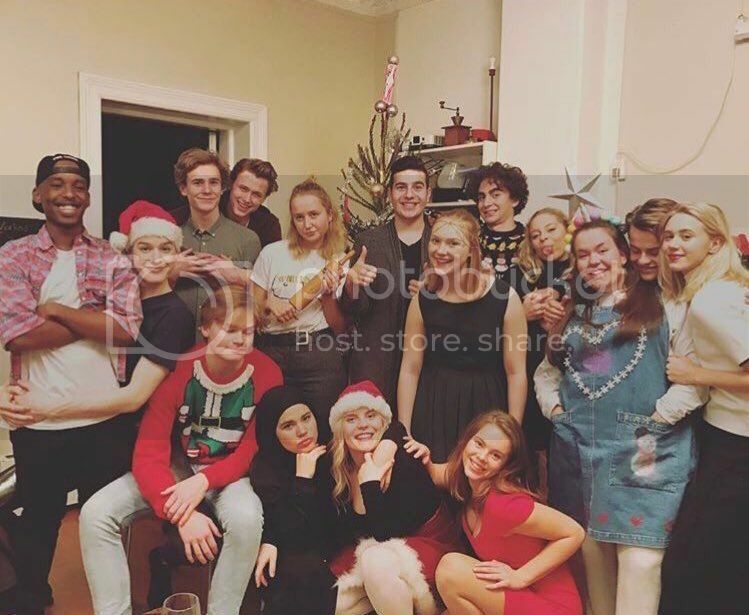 Basically Skam is a show that focuses on the lives of these Norwegian teens. Each season focuses on a different character within the same group of friends. Yes yes, it does sound corny and so typical but I promise you, it isn't. I'll talk more about it but this show cover's really realistic topics that American ones don't really talk about, you fall in love with the characters, ect ect. If you're interested on why I love this show so much and why you should try it, keep reading on! One thing I am always up for when it comes to stories or shows is girls supporting girls. The show does touch on this; the difference when it comes to guys, how they treat each other, and how girls treat each other. I love the group of girls in this show. Moments where they have each others' backs are my favorite scenes. These days I feel like we don't get many great good girl squads in shows so getting to see the creation of such a slay fictional girl squad who always stand up and support each other is great. Ooookay, I know shows that tend to have slow motion are the shows that make you want to roll your eyes watching but I swear the slow motion parts of this show are the best. Part of it is because the actors doing the slow motion make it look so dramatic but also because the music they use for the slow motion is the best. I could sit all day and laugh at how great the slow motion squad moments are. When you can’t beat the odds, change the game. Kaz Brekker and his crew have just pulled off a heist so daring even they didn’t think they’d survive. But instead of divvying up a fat reward, they’re right back to fighting for their lives. Double-crossed and badly weakened, the crew is low on resources, allies, and hope. As powerful forces from around the world descend on Ketterdam to root out the secrets of the dangerous drug known as jurda parem, old rivals and new enemies emerge to challenge Kaz’s cunning and test the team's fragile loyalties. A war will be waged on the city’s dark and twisting streets―a battle for revenge and redemption that will decide the fate of the Grisha world. Oh, what to say about this book. Do I know where to start? No, but I'm just going to talk and hope I don't sound too rambly and sad that this duology is now over. First of all, I'm just going to say how much I loooved the characters in this book. This series is definitely short but the 998 pages were full of witty banter, serious talks, the heartbreaking conversations, and the great friendship between our Dregs. I love how each character brings something different to the group and that they *most of the time* are always in support of each other. No character is more important than the next one and I love how loyal they are to each other. I also really love how each character represents a more serious issue of our world. You have sexual harassment, disabilities, going against the status quo, vengeance (lots of vengeance, oh my lord), and accepting who you are. I personally wasn't able to relate to all the characters in this book but I really cared for each of them, which is just as good as being able to relate in my opinion. One thing that worried me juuust a little about this being the last book was the fact that the series wouldn't feel complete. The Grisha trilogy ended kinda quick for me so you can understand why this was a concern for me. Fortunately, I think Leigh ended this duology very well and left some doors open for her new works (which I hear is about a certain pirateer so this next series is gonna be so fun for me. You don't even know). I'm really not going to say anything about how this book ends but it definitely was not what would normally happen in these types of books. I'm just going to leave that here because this is not the place to spill my feels. I love Leigh's books because they never fail to keep me hooked onto the story and they're always so suspenseful. Beginnings of books tend to get slow sometimes but not with Leigh! She just picks right backs up and whisks us back into the Grishaverse. The book and story never ran out of surprises and I know it's always great to know what is going on and watch it roll out but sitting back and letting Leigh's stories surprise you in one of the reasons why I lover her books. I really admire her ability to write a suspenseful and surprising story and that is why I always know that I will finish one of her books loving it. She's just one of those authors. Is it sad that this is probably the most successful month of reading I have had in awhile? 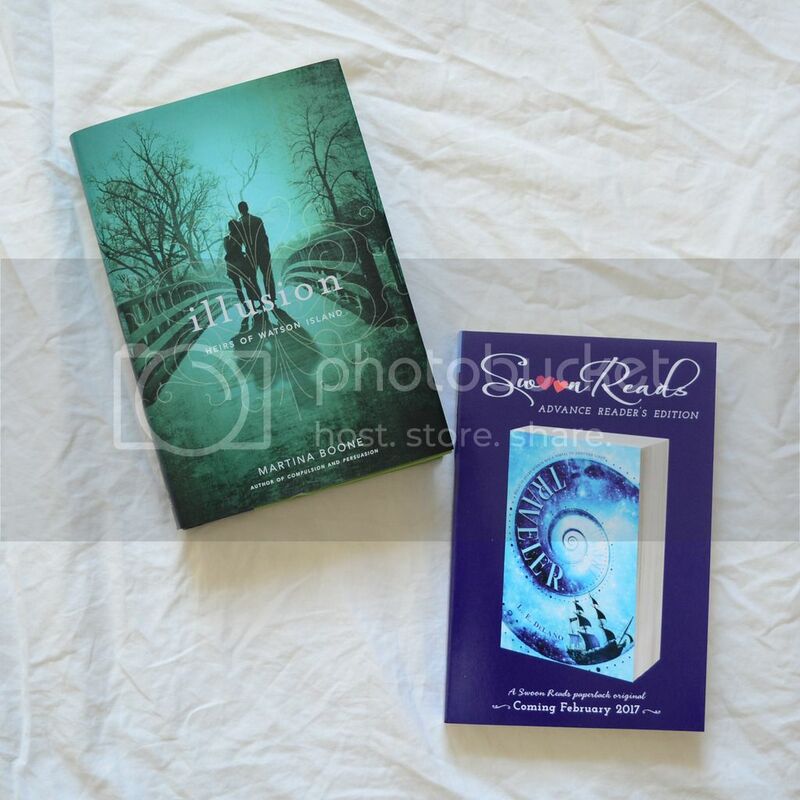 Even though I really only read two books this month, I really enjoyed both books. Animal Farm was for school but I thought it was actually really good. 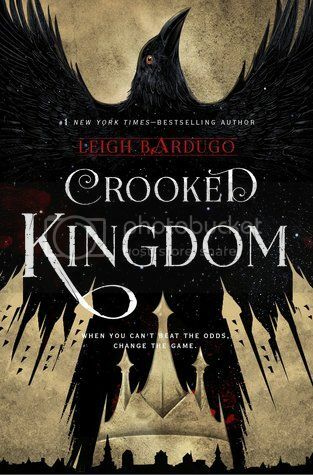 Crooked Kingdom was sooo good and I am so sad this great duology is now over. 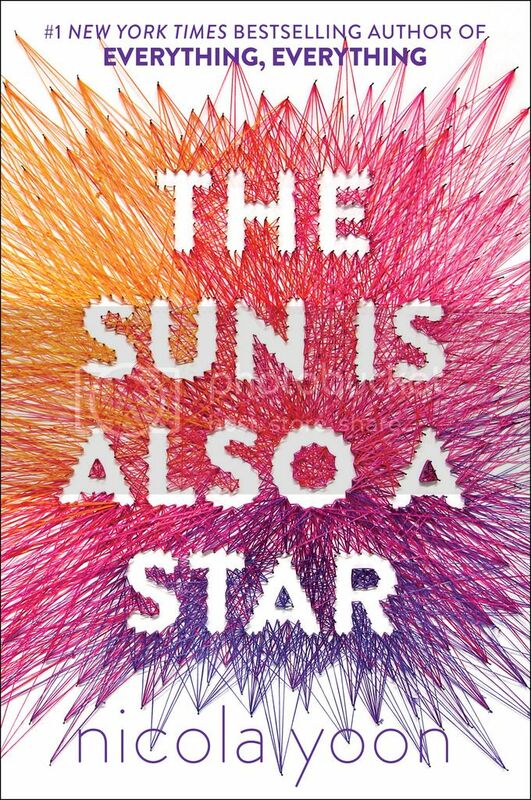 When I heard that Nicola Yoon would be writing another book, I already knew that I would want to read it. Everything, Everything was a book I really enjoyed so I was looking forward to see what her next book would be about. Thanks to Jess, I was able to get an opportunity to read it and let me tell you, this book is fabulous. I really loved the writing style that Nicola wrote in, the characters were quite a joy to read about, and I really enjoyed this plot. It was a really quick read but this book always kept me interested in the story and I never really got bored with it. If you're looking for a fun but kind of heartbreaking read, definitely try this book! The first thing I want to talk about with this book is how fabulous the writing style was. I really liked the writing style for Everything, Everything. It had some emails, journal entries, and also your typical narration. What I liked about the writing style in this book was how Nicola told the story from the perspective of basically everyone and gave the opportunity for readers to get to know the minor characters that popped up in the book. We get small glimpses of pasts and futures of characters that Natasha and Daniel would come across, which is not something that authors include. I thought it was a great touch to the book and definitely made it more unique. It also showed how little you know about people you come across everyday and that everyone has a deeper story than what meets the eye. Another thing I really loved about this book was how there were diverse characters! You had a family of Jamaicans and a family of Koreans, which was fabulous because for once, a story in New York City wasn't told with only white people! I also really liked how Nicola included immigration in her book, which is a very relevant thing for most people because their relatives have to have come to American in some way! I don't read a lot about immigration and deportations in books a lot so Nicola writing about Natasha coming across that problem was something I really enjoyed. Okay, there is only one major problem that I could find someone having with this book. It's kinda instalovey. Some people may disagree with me on this book to me, I felt like there were some moments that felt rushed and kind of unrealistic and the relationship with Natasha and Daniel is kinda instalovey. It's cute, but I wish it wasn't as instalovey as it was but when considering the whole book takes place in a day, having the relationship be a little instalovey was not something that could have been totally avoided in my opinion. Honestly, the instalove didn't push my rating down, it was the unrealistic and rushed parts of dialogue of the book. Nevertheless, it didn't stop me from enjoying the book at all.